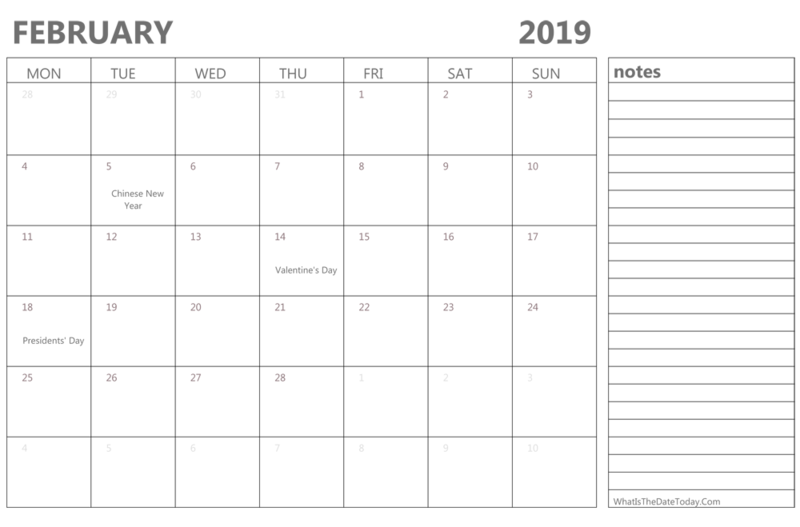 Editable February 2019 Calendar with Holidays and Notes is another editable monthly calendar for 2019 which available in Word and PDF. Version: Editable 2019 US calendar with holidays and notes space for february. 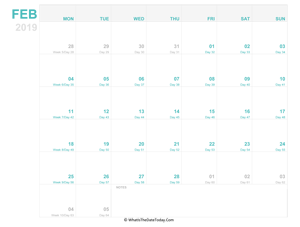 Looking for other february calendar editable in a different style or layout? We have a large variety of calendar templates for Word, Excel & PDF to download and print. 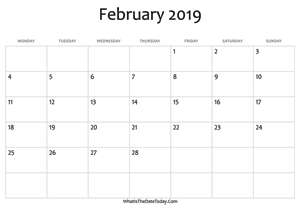 This Editable February 2019 Calendar available in many formats including Word (docx), PDF and PNG. Our Microsoft Word calendar works nicely with other writing applications like OpenOffice, LibreOffice and Google Docs. You may download or print many 2019 february calendar templates in portrait and landscape format which designed with high quality and suitable for any kind of printer. If you want 2019 calendar templates in excel format visit our 2019 excel calendar page.